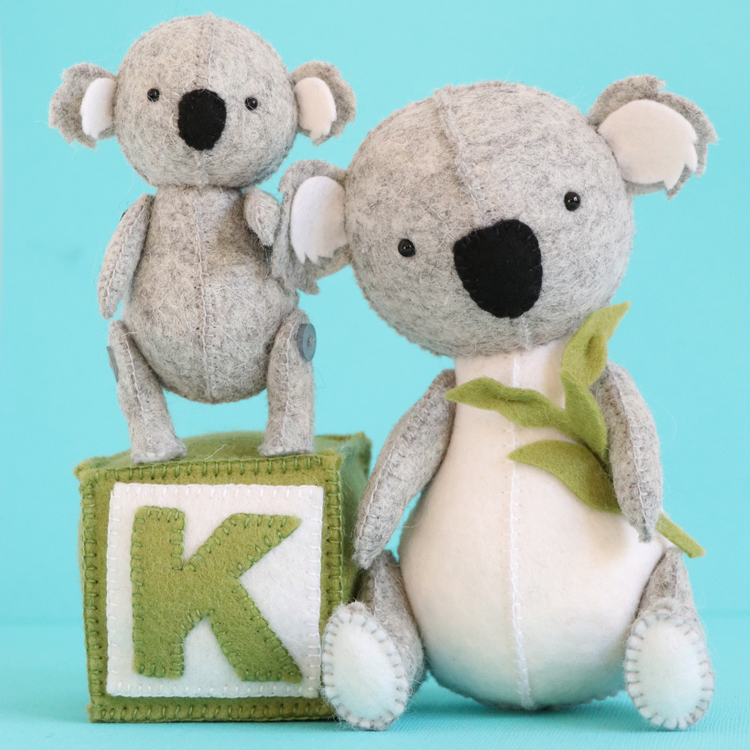 The newest friend in the alphabet animal series is the fabulous fluffy-eared koala and baby. This pattern is completely hand sewn, so suitable for all levels of skill. 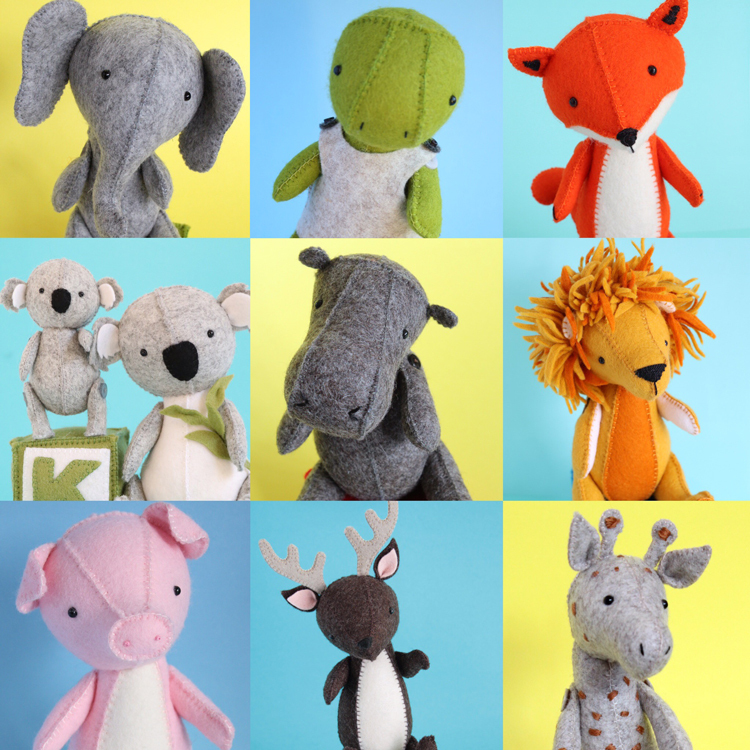 With a limited palette, the alphabet animal series make fantastic economical kits. 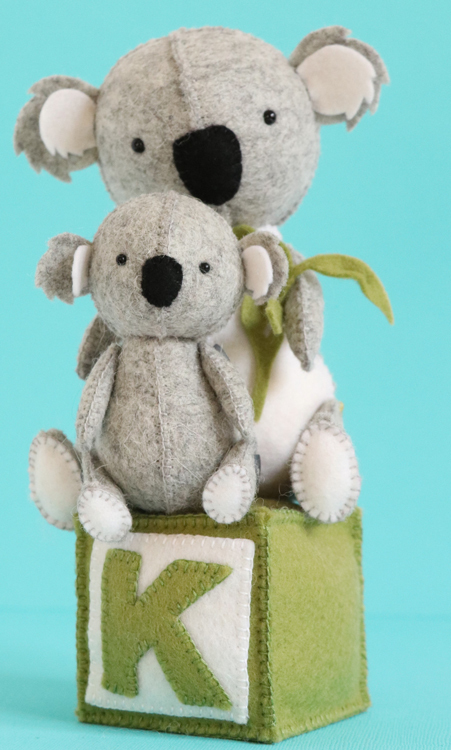 The large koala is 7 inches high and the small one is 4 inches high.